This is some fresh news from our friends over at TmoNews. According to some recent photo’s that have been found, T-Mobile plans to bring a nice mid-range device in the HTC Marvel, better known as the Wildfire S. You can see our hands-on here. It should come looking pretty similar to the Wildfire S, only with T-Mobile branding and the rest of the goodies assuming T-Mobile doesn’t become AT&T anytime soon. The HTC Marvel is a nice mid-range phone with a 3.2″ display and sporting a 800 Mhz Snapdragon processor like all other HTC phones. According to the sources it will be coming after the HTC Sensation, and the HTC Doubleshot. Yes they mention it will be after the Doubleshot, a device we still don’t know much about. There is confirmation that the Doubleshot will be the MyTouch 4G Slide. We are unsure if that will be dual-core like the Sensation, but we have already seen a leaked 2.3 Gingerbread build for the MyTouch4G Slide so that is good news. The HTC Marvel looks very similar to its much bigger and powerful brother pictured above, the HTC Sensation we have heard so much about lately. 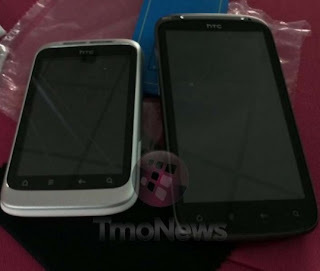 So for those that don’t need the beastly 4.3″ dual-core goodness that will be the Sensation, feel free to save that upgrade that is coming soon and get the HTC Marvel. 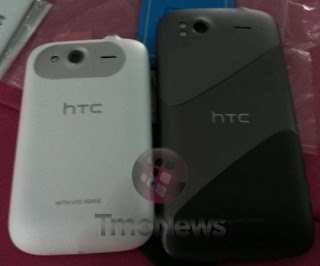 As always, it will have that solid HTC build quality, and it looks like the always attractive Nexus One. Will you be getting the Marvel? Or will you hold out for the Doubleshot with its keyboard? Tell us below. Next articleWhat can we expect from future smartphones?